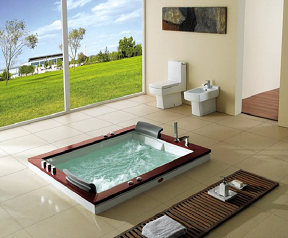 The Ambassador is the premier design in drop in whirlpool bathtubs. With a spacious interior and deep bathing well surrounded by rich hardwood decking, it offers a sleek and minimalist design with space for two. 60" x 71" x 28"